This is a story which revolves around the protagonist Taara who has had a failed love experience not once but twice. While her love with Tarun Malik has to be forcefully withdrawn due to the family pressure, she doesn't get lucky with Shivam as well. On top of this, she also gets to see her ex-fiancee with another girl. 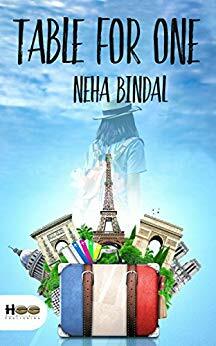 While she starts searching the real purpose of her life, she decides to go on a solo trip to Europe. This is where she gets to see the real world and the perceptions of her life. She gets to meet Ragini, a co-passenger who embarks on a journey after successfully completing her life's duties. Taara travels to England, Paris, Switzerland and finally to Italy. She gets to meet varied characters including Sajid(a tour guide), Snigdha, Ashwin(Tour Manager), Alex(Trek In-Charge), Shelton & Alvin(Trekkers), Fred, Purvi. Martha among others. The story revolves around lives of these characters who hails from different countries which obviously boasts of different cultures. The story also portrays in a subtle way as to how the lives of women in India is influenced by her family and other circumstances and how she is been forced to compromise and live her life adjusting to the stark realities. I liked the way, the story has portrayed the protagonist who was not only bold but also drives a message as to how one(especially women) could lead a independent and a happy life, living for herself and not for others. My rating for this novel would be 4 out of 5.